In its 155 years in Portland, St. Stephen’s has consistently focused on bringing the Good News of Jesus to everyone and anyone. From 1911-1918, this congregation offered the only Episcopal service in Oregon for African-Americans. 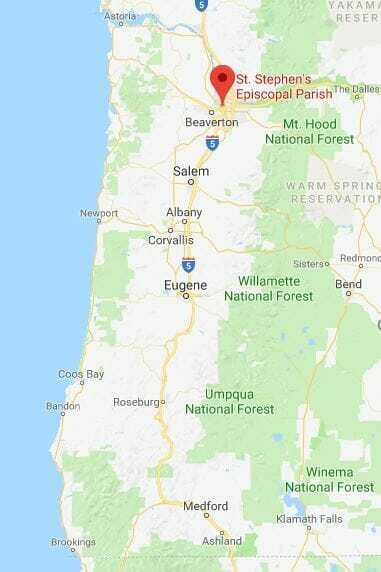 In 1918, it sponsored the founding of St. Philip the Deacon, Oregon’s only historically African-American Episcopal parish. In the 1940’s, St. Stephen’s welcomed Japanese-American families returning from internment after WWII. In 1969, it married the first interracial couple in Oregon. St. Stephen’s called the first woman rector in the diocese and the first openly gay rector in the diocese. 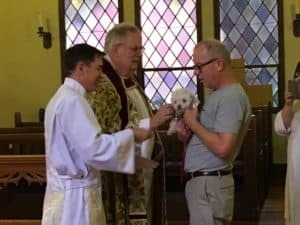 It also hosted the first ordination of an openly gay man, at a time when the Bishop of Oregon would not permit it. St. Stephen’s has always been committed to welcoming everyone and anyone. In recent years, St. Stephen’s has focused on welcoming our friends who live outdoors. 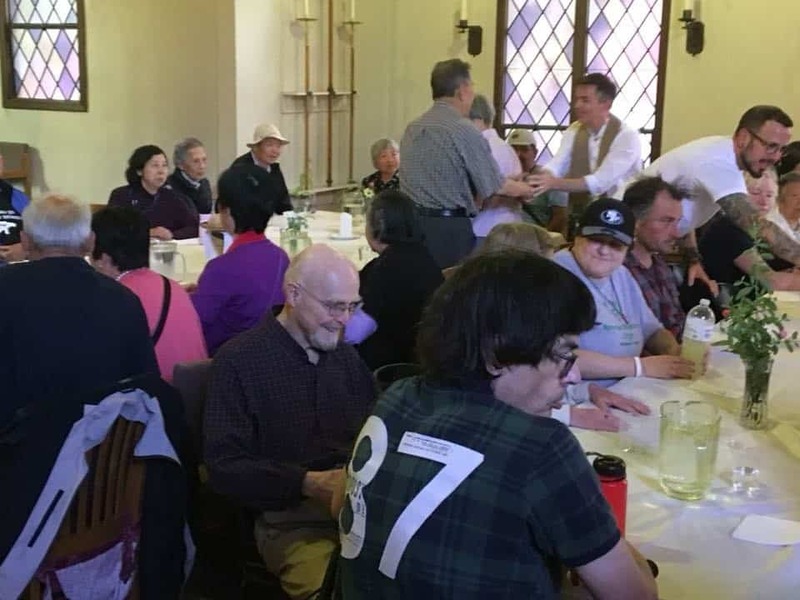 St. Stephen’s has developed an extensive food, hospitality and clothing ministry through Clay Street Table, which is lead by the Rev. Dr. Paul Davis. Under Dr. Davis’ leadership, St. Stephen’s has partnered with several other organizations that are also committed to loving our neighbors who live outdoors, including Operation Nightwatch and St. Michael’s Catholic Church. As a result of their combined efforts, over 150,000 meals, thousands of pounds of clothing and countless hugs made their way from St. Stephen’s last year. In the past year, this congregation has been increasing its focus on young people by hosting Beloved Community on Campus, which is the Episcopal campus ministry for the Portland metro area. It is lead by postulant Matthew David Morris, and he is bringing the Good News of Jesus to Portland State University, Concordia University and Lewis & Clark College. St. Stephen’s is deeply committed to merging outreach work with worship services. Last year, it began a discernment process and developed a Dinner Church. 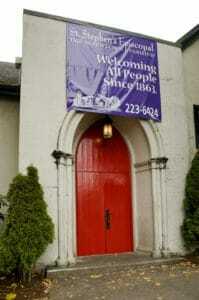 Dinner Church meets at 5:30 pm on Saturday night, and it has developed as its own congregation within St. Stephen’s. Generally, 12-24 people from St. Stephen’s immediate neighborhood gather for Eucharist, dinner, fellowship and true communion. Rector Brendan Barnicle reports that his Sunday sermons are always changed by what he hears shared on Saturday night. Finally, during its 155-year history, St. Stephen’s has been deeply committed to ecumenism. The majority of the congregation and its leaders come from denominations outside the Anglican tradition. As a result, this congregation has been willing to experiment with liturgy and worship. Last year, St. Stephen’s celebrated a Service of Grief and Remembrance, Recovery Sunday, a Service for Immigrants and Refugees, and a Service honoring World AIDS Day; just to mention a few of its experimental liturgies. As an Episcopal Church, we are called to be big enough and welcoming enough for everyone and anyone. In a time when our church is struggling with its identity, St. Stephen’s demonstrates that the Good News of Jesus never goes out of style. God’s love is welcome for everyone and anyone in any place and at any time.